It’s like the lesson of the entire trip (lifetime, even!) happened before I even left Revelstoke. Or my home, for that matter. Happening daily, providing much humour to everyone on the trip (especially myself), I think this anecdote is a worthy highlight before diving deeper into this journey. 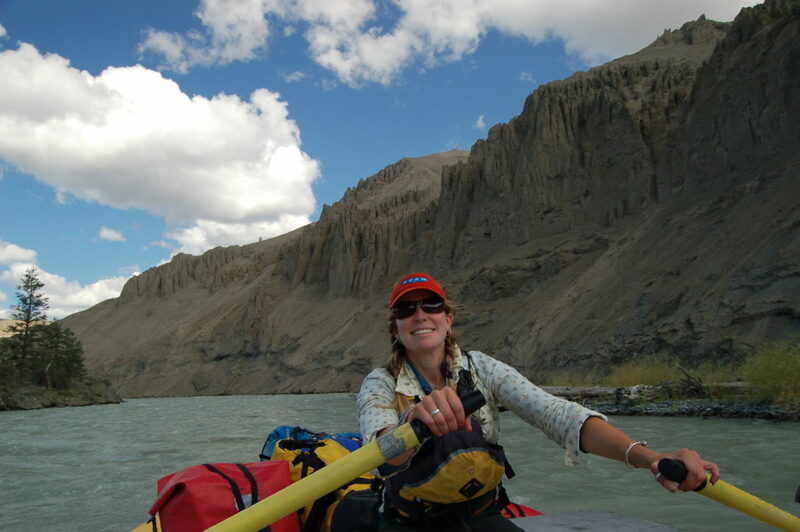 Especially if we use Amy Flexman as our lead guide (or example) for this one. Flowing out of the womb a river lover, Amy has dreamt of travelling down the Stikine her entire life. But she is actually not here with us today - the day we are leaving for the trip - because she has committed herself to working in Quebec to provide for all of us to experience the Stikine instead. “I'm an ultra-sensitive caring person, and want the best for everyone else, often putting myself last,” she later reveals to me in a personal sharing over email. But this is one way to have your head underwater, fast. Always remember your life jacket. Put yourself in a canoe with people who have your back when you don’t. It is from the bottom, deepest, purest place of my soul I thank Amy Flexman with Flexpeditions for making this journey of a lifetime possible. It is an honour to be a reflection of a woman so purely a reflection of Mother Nature, and the river Herself. Always giving. Loving unconditionally. And living in trust. Now, to take the plunge.